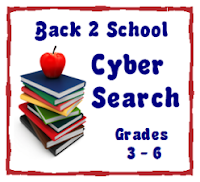 Are you getting ready to head back to school (or perhaps you've already started)? Well, I've teamed up with eleven other fabulous bloggers to make your life a little easier. Each of us will be offering you one of our resources for FREE on Saturday, August 11th! You'll be able to use these resources during your first month back to school - and we all know we can use all the help we can get during the "busy season". 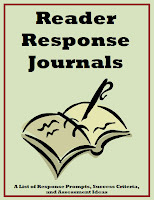 On Saturday only, you will be able to get my Reader Response Journal Package for FREE. This package contains over 100 reader response questions and prompts organized into different reading comprehension strategies and text elements. These questions can be used for any text, which makes them a perfect companion to minilessons, independent reading, guided reading groups, etc. The document also contains a set of success criteria and rubric for assessment purposes. Be sure to visit all the blogs listed below before Saturday - you'll be able to see what each of us is offering, and you just may find a new blog to follow. Then make sure to return on Saturday so you can start downloading your new resources. We hope you enjoy!!! Jennifer - I am amazed every time I come to your web site or see your stuff on Facebook or pinterest. I am also a Canadian 5/6 teacher in rural Manitoba and I don't know how you find the time for all you do in a day....Can I ask you a few questions... Math Journals - they seem so elaborate - how much time do you spend on them per class and when do you create the entry - after the discovery lesson? My struggle with the 5/6 combined is the Math...but a 2 year journal would be awesome- do you do a table of contents? what are the different ways you assess math other than paper and pencil...do you try to teach the 5/6's together or separate? Thanks for all your amazing work - keep it up...I wish I had something to share with you!! Wow, that's really cool! You have so many intriguing ideas... I am sure I've told you that before. The third-grade math teacher at our school has discovered your journals-- and I am excited about the reading one coming this Saturday. :) I will certainly implement it this year. I'm looking forward to using these prompts in my classroom; thank-you! Thank you! I am always looking for new resources! Runde, you are an answer to my prayers. I am so thankful I found your website. I have been teaching for 4 years and this is my second teaching all math to 3 - 5 and 5 science. I am always looking for ways to challenge the students and not always rely on teaching from the book. Your interactive journal is exactly what I needed. Keep it coming, you are awesome.